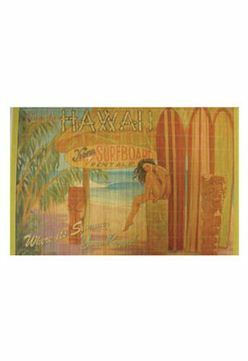 A beautiful Hawaiian product, this Kona Surfboard Bamboo placemat is made of sturdy bamboo and will bring island style to any dining table. Seeing this nostalgic design of on your table will take you back to your time spent in paradise. Wipe with a damp cloth to clean.